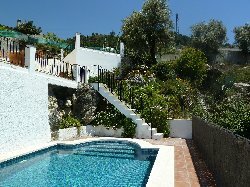 Casa Beni is located in a stunning position on the edge of the unspoilt white-washed village of Canillas de Aceituno in the Axarquia area of the province of Malaga. 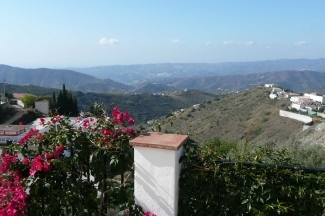 It is 50 minutes from Malaga airport and 25 minutes from the sea. 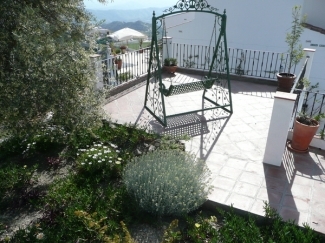 The villa has breath-taking panoramic views towards the Mediterranean and Lake Vinuela to the south and, to the north, the Sierra Tejada National Park with the magnificent Mount Maroma � the highest mountain in Malaga Province. 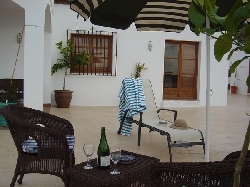 Casa Beni has three double bedrooms, two with en-suite bathrooms and one with a separate shower room. The beds can be made up to provide two doubles and a twin or three twins. The large, elegant living space has a romantic fireplace with wood-burner, a dining zone that can seat 10 and a charming open-plan kitchen equipped with every mod.con. Two sets of French windows open onto a spacious covered patio with gas barbecue and the 7m x 4m pool is set below within its own gated terrace. 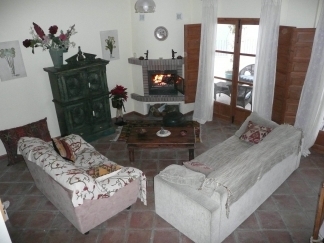 Decorated with style, personality and comfort, Casa Beni is fully air conditioned but has the added luxury of underfloor heating for the cooler months. 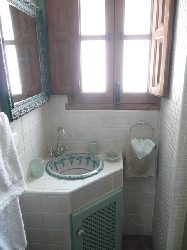 There is also free internet access to keep in touch with the outside world. 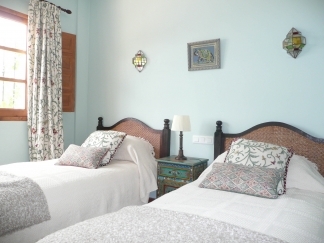 The villa is an easy walk away from the delightful village, where you can explore the maze of flower-filled streets, shop at the local butcher, buy fresh produce from several different grocers, or try out some delicious local dishes at one of several restaurants and bars. 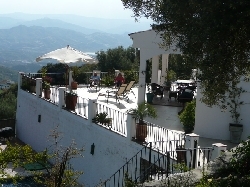 Perhaps the best place to be is simply relaxing on one of several terraces at Casa Beni with a glass of local wine, taking in the exotic floral scents and chirping of the crickets while admiring the glorious panorama over the hills and valleys to the Mediterranean. 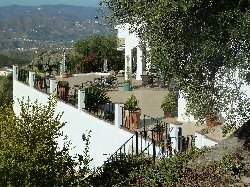 There are wonderful walks locally or, for the more intrepid, trekking to the very top of Mount Maroma in the National Park which adjoins the villa. There is a tennis court in the village and two golf courses within 25 minutes. There is also sailing and fishing on Lake Vinuela, 15 minutes away and nearer the coast there�s a large shopping centre,cinema complex,aqua-park and go-cart track. Nerja�s amazing caves are half-an-hour away. It takes an hour and a half to get to Marbella and Puerto Banus and you can be on the ski-slopes of the Sierra Nevada above Granada in about the same time, while Seville and Cordoba take about two hours. 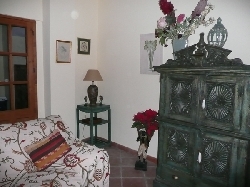 The villa can be rented for less than a week but not during high summer, Christmas or Easter.